Q: How long are your guide trips? A: Our most popular trip is a 4 hour half-day trip. This seems to be the perfect amount of time for most people. Q: Where do you pick up and drop off? Q: How many people can each boat take out? A: Most of our guide boats can comfortably take 3 clients plus the guide. If your group exceeds 3 people, we can easily arrange for multiple guide boats with enough notice. If your group prefers to stay together the guides can arrange to stick close by each other on the water. Q: Can you take out groups of more than 3 in one boat? A: We prefer to stick to 3 anglers per boat max. This offers the best fishing experience for everyone. The exception to this may be a family with youngsters in the right combinations. A: If rain is the only factor that day, the guide will be prepared and ready to go. However, if dangerous storms are probable, the trip may be cancelled per the guide’s discretion. Q: Do I need a fishing license to fish with a a guide? A: Yes, you will need a current MN fishing license. There are several options for purhasing them prior to your trip. Licenses can be obtained one of these 3 ways: Online at by visiting the MN DNR web site; by calling 1-888-MNLICEN(665-4236); or you may also stop at an area bait shop. The rates for a one day resident license is $10.00 and $12.00 for a one day non-resident license. Q: What will we be fishing for? 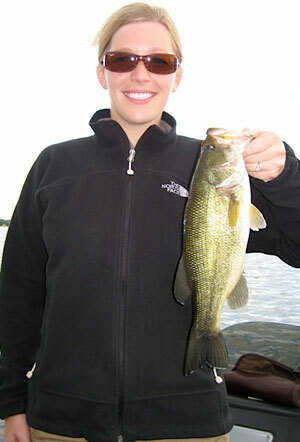 A: Lake Minnetonka offers a great multi-species fishing outing. The most successful outings are when the guide makes the call on the targeted species. More times than not this is for bass and pike. Walleye trips are available throughout the spring, summer and fall with typically the best time occuring during the evening hours. Musky trips are also avaialble. Crappie fishing in the spring is also a great way to get out and get into the swing of the fishing season and also provides some great action. Q: How do your corporate trips work? 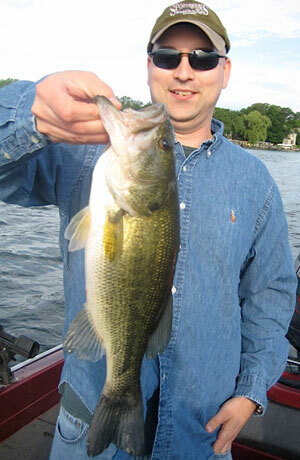 A: Lake Minnetonka Guides has been offering corporate fishing outings since the mid 90’s. This service has grown in popularity for the companies that have participated, many of which have made it an annual event. What is a greater way to build your team outing than fishing? Give it a try next time instead of a golf event that can be done anywhere in the country. Minnesota is a fishing state and you will give your clients/employees a great on the water experience! We can arrange multiple professional guides for just about any size group. Q: Are there any restaurants on the lake? A: Yes, there are several great places on the lake to grab a bite to eat before or after your trip. Some of the more popular locations are: Lord Fletchers, CōV Wayzata, Maynard’s and Bay Side Grill. A: Lake Minnetonka Guides prefers payment in the form of check. Credit card charges are possible with advanced notice. Q: Do I need to bring my own fishing gear? A: All of our guides will have everything you will need for a great day on the water. This includes rods, reels, tackle, bait, life jackets, etc. If you wish to bring your own gear, you are welcome to do so; however, it is not necessary. A: As stated above, you are welcome to bring your own rods (although not necessary). Other than that, you will need a curent MN fishing license and you are welcome to bring any beverages and snacks of your liking. Q: What if I don’t know how to fish? 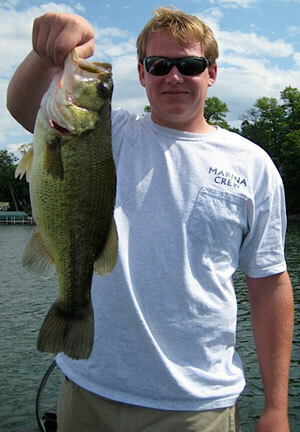 A: Lake Minnetonka Guides would love to teach you the ins and outs of fishing. 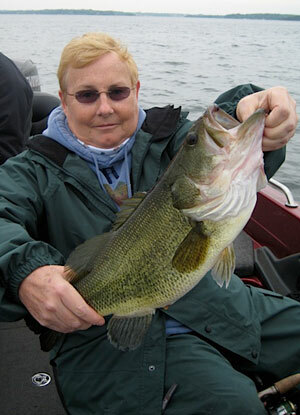 We can teach you to cast, techniques for catching fish and even take your fish off for you. There is no better time to learn how to fish than now!